Alzheimer’s disease is the most common neurodegenerative problem in humans. It effectively destroys our memory and other important mental functions. Scientists believe that this progressive disease is primarily the result of amyloid plaque or tau protein tangle development within the brain. This leads to the symptoms seen in Alzheimer’s. Sadly, many of these symptoms don’t become apparent until these brain abnormalities have long formed. This makes the diagnosis of Alzheimer’s a clinical one. The only real way to confirm it is by examining brain tissue on autopsy. 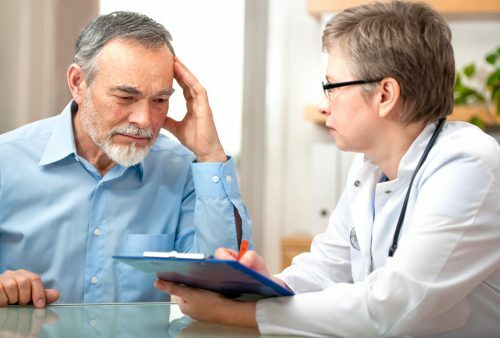 While there are various imaging tests to aid in the diagnosis of Alzheimer’s, they are used in conjunction with a clinical presentation to make the diagnosis. However, a new study suggests that cognitive tests are able to detect early Alzheimer’s in people without symptoms. “In the last decade or so, there has been a lot of work on biomarkers for early Alzheimer’s disease. There are new imaging methods that can identify neuropathological brain changes that happen early on in the course of the disease. The problem is that they are not widely available, can be invasive and are incredibly expensive. I wanted to see whether the cognitive tests I regularly use as a neuropsychologist relate to these biomarkers,” said lead researcher Duke Han, Ph.D., associate professor of family medicine at the Keck School of Medicine of the University of Southern California. The study in question involved a meta-analysis of 61 studies. They aimed to find out whether neuropsychological tests can identify early Alzheimer’s disease in adults over 50 with normal cognition. Those found to have amyloid plaque formation in the brain performed the worst on these tests, specifically in the domains of global cognitive function, memory, language, visuospatial ability, processing speed, and attention/working memory/executive function when compared to those who did not have these amyloid plaques. The presence of tau proteins or neurodegeneration signified worse performance on memory tests. The researchers believe that these results speak volumes. By incorporating cognitive testing into routine annual checkups for older people, early recognition may be possible. Because the early signs of dementia are subtle, having a baseline measure of cognition before the obvious development of full-blown symptoms can be of great benefit for these patients. The researchers believes that early recognition can be a powerful tool. “If people would consider getting a baseline evaluation by a qualified neuropsychologist at age 50 or 60, then it could be used as a way to track whether someone is experiencing a true decline in cognition in the future,” said Han.